In June 2010 the Netherlands became the first country in the eurozone that changed its government after the debt crisis in Europe broke out, though not for economic reasons - the then ruling coalition between the Christian Democrats and the Labour Party fell apart because of the Labour Party's refusal to support an extension of the Dutch forces' mandate in Afghanistan. Less than two years later, the Netherlands has become the latest country in the euro area, whose government falls because of the need for budget cuts. The irony is that, along with Germany, the Netherlands is the most vehement supporter of the policy of austerity. The country even suggested member states that violated budgetary discipline to leave the eurozone. But the government was unable to implement its beliefs in practise in its own country and this cost its mandate. The ruling coalition's collapse came as a result of the failure of the negotiations on further cuts in the 2013 budget, aimed at meeting the deadline to reduce the budget deficit below 3% in the next year. 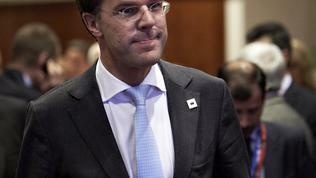 According to Eurostat data, released on 23 April, the Netherlands' 2011 budget deficit is 4.7%. The situation is further complicated by the expected economic contraction of nearly 1% in 2012. Against this background, it seemed that the question was not whether but how to save 16 billion euros in the next year's budget. 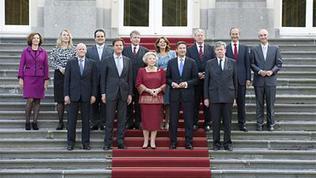 But the government failed to convince the Freedom Party of Geert Wilders. The far-right populist and a fierce opponent of immigrants and the European Union announced that he would not support the plan for budget cuts and would withdraw his overall support for the cabinet. In fact, the Freedom Party had no ministers in the government, but the fragile coalition between the People's Party for Freedom and Democracy of Prime Minister Mark Rutte and the centre-right Christian Democratic Appeal (having together 52 out of 150 seats in Parliament) relied precisely on the 24 seats of the Freedom Party, until now. The compromise was reached after four months of negotiations to form a government after elections in June 2010. Geert Wilders repeatedly used this fact to exert influence on the government policy and literally to blackmail the cabinet. For example, on the issue of Bulgaria`s and Romania`s accession to Schengen. 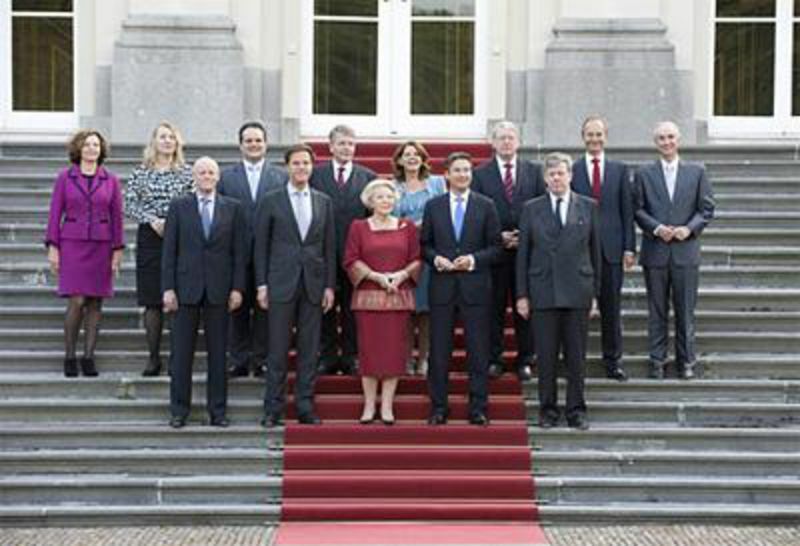 And Prime Minister Mark Rutte was forced to blush before his European partners, as they attacked him because of the Wilders's anti-immigrant website. Ultimately, although it paid a high price for the populists' support, the government fell, unable to meet the megalomaniac claims of Wilders. He not only opposed the budget cuts but accused the bureaucrats in Brussels of thrusting their hand into Dutch pensioners` pocket. Wilders determined the 3% budget deficit rule as ‘senseless’. In response to these criticisms, the European Commission`s spokesmen recalled that the requirement for a 3% budget deficit was enshrined in the Stability and Growth Pact, adopted in 1997 not in Brussels but in Amsterdam, under the Dutch EU Presidency. Amadeu Altafaj, spokesman for Economic Affairs Commissioner Olli Rehn, appeared at the regular Commission`s briefing on Monday (23 April) wearing an orange tie, as he explained, to honour the Netherlands. He commented that it was not about a requirement or decision of "Brussels", but about the process of EU economic governance, that involves all Member States (the Council) and the European Parliament, and all have supported the introduction of stricter rules on budgetary discipline. The Netherlands has had for many years this culture of stability and sustainable public finances, that we are now trying to impose throughout Europe, the spokesman added. "We trust that the Dutch government will continue to seek budgetary solutions that are important for the financial stability of the country and for the welfare of Dutch citizens," EU Commissioner Olli Rehn commented. "The Netherlands will be up to its responsibilities, even in this difficult political situation," Dutch Finance Minister Jan Kees de Jager said in response. "For me it is important, as a message to financial markets, that no matter the circumstances, the Netherlands will continue to strive for budgetary discipline," he added, quoted by the British newspaper The Guardian. It is important the country to maintain the market confidence, given the credit rating agencies have already threatened to lower the Dutch credit rating, which would raise the cost of its external financing. The Netherlands is one of only four countries in the euro area with the highest AAA rating and losing it would have grave consequences for the entire euro area, moreover it could be followed by a new downgrade of the rescue fund EFSF. 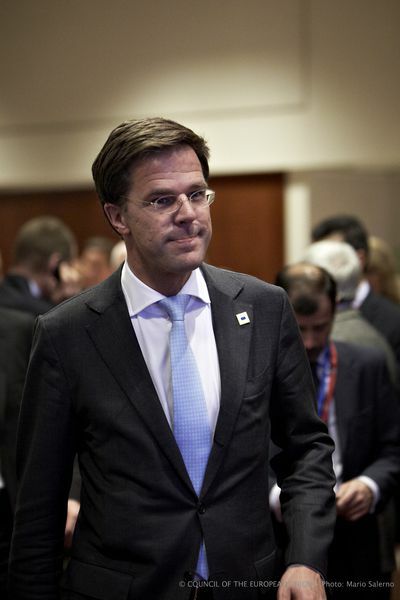 Since the early elections are not likely to take place before September 2012, the Rutte cabinet will probably stay in power and will have to prepare the budget for next year with the opposition parties. Within the European semester, all EU member states have to submit to Brussels their budget plans for the next year by the end of every April. According to The Financial Times, the centre-left opposition was not opposed to the 3% budget deficit target in principle, but insisted that it should be met at a slower pace, and not in 2013. Olli Rehn`s spokesman did not comment on whether it was possible to renegotiate the deadline, placed on Netherlands in the context of the excessive deficit procedure. It is difficult to predict if it was possible, given the recent heterogeneous practise of the European Commission: the EC has imposed sanctions on Hungary because of its excessive deficit, but has forgiven Spain`s waywardness to change its fiscal targets for this year. The European card seems to be a major trump card in the Dutch election campaign. And as we saw on the eve of the French presidential elections, the populist rhetoric is unlikely to remain a trade mark only of the far left and far-right parties. Various opinion polls in the Netherlands show that although the party of Prime Minister Mark Rutte and the Labour Party have slightly increased its electoral support compared to previous elections, the parties in both extremes of the political spectrum have a serious impact. According to a public-opinion poll, conducted by polling institute Maurice de Hond, if elections were to be held today Rutte`s Liberals would win 33 seats (up from 31 now), followed by the eurosceptic Socialist Party with 30 seats, the Labour Party - 24 seats, the Freedom Party of Wilders - 19 seats (5 less than it has now) and the Christian Democrats - 11 seats. This means that the country's next government will again be a coalition, and it would be difficult to find a compromise between the parties with the highest score.